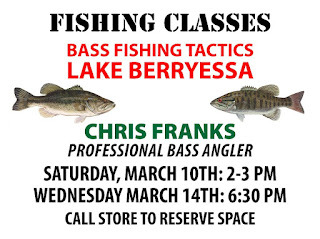 Breaking the Bank: Bass Fishing Tactics Class in Vacaville!! Bass Fishing Tactics Class in Vacaville!! 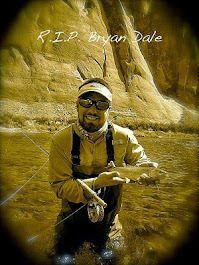 Join me for this free class at "Guns Fishing and Other Stuff" In Vacaville, CA! If you are in the are in the Vacaville area this Saturday or next Wednesday come on out and learn a bit more about fishing for bass. You want to call ahead, ask for the fishing department and let them know you want in this class. Once again that is at Guns Fishing and Other Stuff in Vacaville, CA. Hope to see you guys there!! Also for you fly fisherman, there is a $25 class on fly fishing and you get a $25 coupon to the store if you attend!